Are these really deep space amateur radio satellites? I saw Deep space (d) and got curious! I searched and found four entries with the Deep space designator. They are listed below for convenience, but take a moment to view the original site because I may have missed something. They are in fact in deep space, but there were all carried there by some other mission already heading to deep space as a secondary payload. They were all university payloads, thus operating on the amateur radio frequencies, but not of particular use to more amateur operators. For reference, one of the easiest ways to tell an amateur satellite is to look for an OSCAR number. OSCAR was the first amateur satellite, Orbital Satellite Carrying Amateur Radio. FO-81 and FO-82 are OSCAR numbers (The first letter can vary, it depends on the organization that built it usually). The answer is no they are not Ham Radio Satellites, but they are amateur built satellites. These satellites are indeed in deep space, however I would like to point out that there is a difference between 'amateur satellites' and 'amateur radio satellites.' I call them 'amsats' and 'hamsats' respectively. Amsats are built by amateurs, ie non-commercial, non-government, non-military. They are usually built by university teams. They often use amateur radio frequencies for their control and telemetry radios but they are not intended for amateur radio operators. 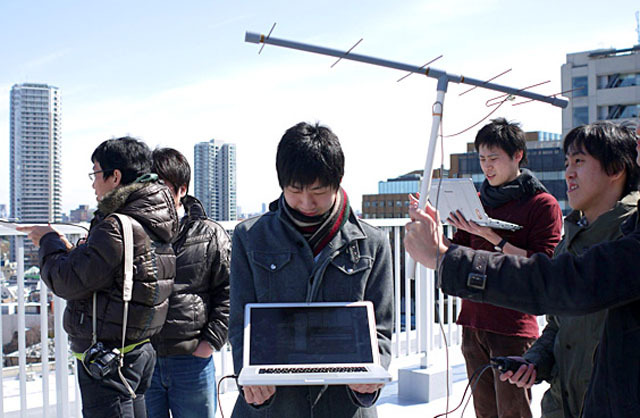 Hamsats, may have scientific experiments and payload, but they also have amateur radio beacons or transponders intended for amateur radio operators to carry out conversations or to transfer signals such as TV or data. All currently active amsats are in Low Earth orbits (LEO). Hamsats are often built by amateur radio operators in conjunction with university teams. This seems to be a website ran by an Radio Amateur with call sign "JE9PEL". what is JE9PEL's definition of "deep space"
what criteria did JE9PEL use to classify those satellites as "deep space"
Without contacting this individual, one cannot reliable answer the question of the OP. 4M-LXS was a Lunar fly-by project. It is uncertain if this bird has re-entered into earth orbit, or that it has gone off on another/unknown trajectory. The project seems to have ended, and links are no longer working. However you can find a website which lists this satellite as active, which would confirm the premis of this answer: how much do you trust the source of the original question. I did not search for the others, as I do believe that this would not add to the answer of this particular question. The only conclusion I can give is: without further details; the source of the data of which is the basis of this question is dubious. Not the answer you're looking for? Browse other questions tagged artificial-satellite deep-space amateur-radio or ask your own question. How did the communication work between the SpaceX Tesla and Earth? How many people have returned to Earth in a different type of vehicle than the one that launched them into space? Why do these 'spy' satellites carry amateur radio packages? What body of regulations (if any) would apply to a cubesat with an SDR on board? What are the hurdles we face in deep space exploration? What are the risks involved in amateur high-altitude ballooning, and how can we mitigate them? Calendar of deep space arrivals? What are amateur radio satellites passes? Have amateur satellites ever experimented with optical communications? What satellites can I receive Images from with a radio? News of eXCITe with QIKcom-2 and SeeMe, have they been launched, or is there currently one scheduled?